Damnit. This is not what I was expecting. 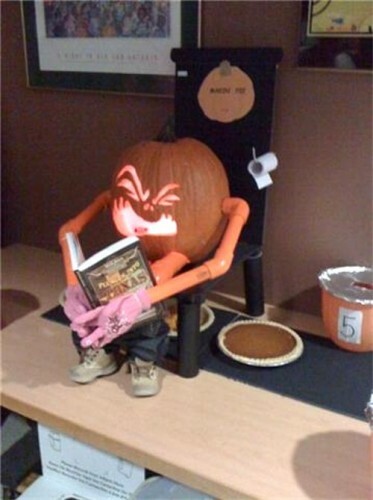 I’d still eat pumpkin pies if this was how they were actually made. I’ve never had pumpkin pie or brownies. How am I supposed to know if I would like pumpkin pie poop now. This halloween was the first time I’d ever had pumpkin pie. No pumpkin in my store to make pumpkin pies. You know what’s better than pumpkin pie? Pumpkin pie with fork.